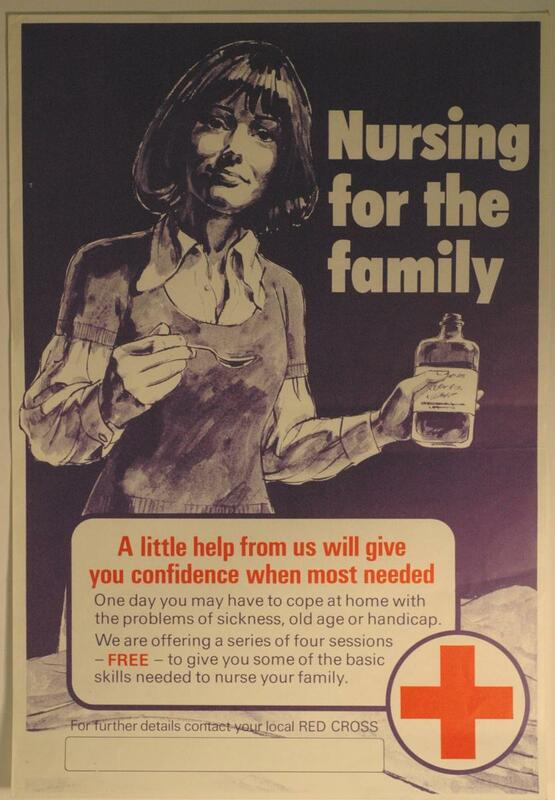 Small poster, showing a woman holding a bottle of medicine: 'Nursing for the family'. 'A little help from us will give you confidence when most needed. one day you may have to cope at home with the problems of sickness, old age or handicap. We are offering a series of four sessions - FREE - to give you some of the basic skills needed to nurse your family'.